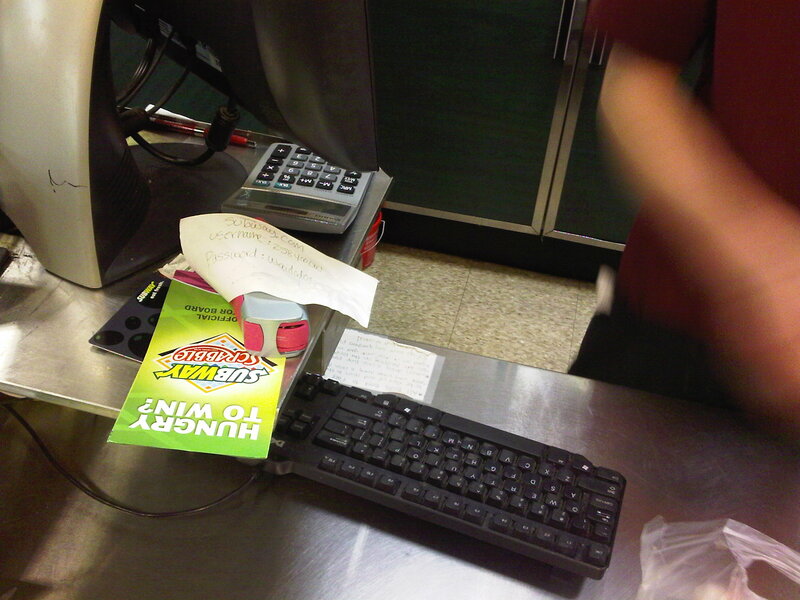 As I stood there at the cash register (a PC running POS software), I noticed an upturned napkin with some writing on it. I couldn’t believe that someone (probably the manager) had written down not only the username and password (clearly marked with labels USERNAME and PASSWORD) but also the site those credentials were used at. Of course a napkin with random letters and numbers on it would probably be construed as some kind of account information, but to clearly label them as such, along with the site they are used at… its like drawing a map for hungry walk-up hackers. Of course I took a picture with my trusty camera phone, saying “oh man, this thing is so touchy, it’s always taking pictures of my feet” as the cashier looked up at me after hearing the shutter noise it makes. This entry was posted on Friday, October 30th, 2009 at 6:56 pm	and is filed under Life in general. You can follow any responses to this entry through the RSS 2.0 feed. You can leave a response, or trackback from your own site.